Celiac disease (CD) is an immune-mediated gastrointestinal (GI) disorder driven by innate and adaptive immune responses to gluten. Presentation of CD has changed over time, with non-GI symptoms, such as anemia and osteoporosis, presenting more commonly. With improved screening and diagnostic methods, the reported prevalence of CD has increased globally, and there is considerable global variation in diagnostic and treatment practices. The objective of this study was to describe the current state of CD diagnosis and treatment patterns. A targeted review of literature from MEDLINE, Embase, the Cochrane Library, and screening of relevant conference abstracts was performed. The generally recommended diagnostic approach is GI endoscopy with small bowel biopsy; however, in selected patients, biopsy may be avoided and diagnosis based on positive serology and clinical symptoms. Diagnosis often is delayed; the average diagnostic delay after symptom onset is highly variable and can last up to 12 years. Barriers to accurate and timely diagnosis include atypical presentation, lack of physician awareness about current diagnostic criteria, misdiagnosis, and limited access to specialists. Currently, strict adherence to a gluten-free diet (GFD) is the only recommended treatment, which is not successful in all patients. Only one-third of patients are monitored regularly following diagnosis. Unmet needs for CD include improvements in the accuracy and timeliness of diagnosis, and the development of treatments for both refractory CD and GFD nonresponsive CD. Further research should investigate the impact of education about gluten-free eating and the availability of gluten-free foods support adherence and improve outcomes in patients with CD. The online version of this article ( https://doi.org/10.1007/s10620-019-05528-3) contains supplementary material, which is available to authorized users. Truven Health Analytics, an IBM Company, received a research contract from Takeda Pharmaceuticals International Co. to conduct the study and prepare this manuscript. The guarantor of article: Allie Cichewicz, MS. ESM, AT, TB, MG, JD, DSS, DAL, and BL contributed to the concept and design of the literature review. ESM and ABC performed the research and collected and analyzed the data. ESM, TB, ABC, and KJC wrote the paper. All authors provided critical analyses of the manuscript drafts and approved the final version of the article. ESM, TB, ABC, and KJC are or were employees of Truven Health Analytics, an IBM Company, during the completion of this study. AT, MG, JD, and DAL are or were employed by Takeda Pharmaceuticals International Co. BL and DSS serve as consultants for Takeda Pharmaceuticals International Co. No authors have any conflicts of interest germane to this study. Green PH, Stavropoulos SN, Panagi SG, et al. 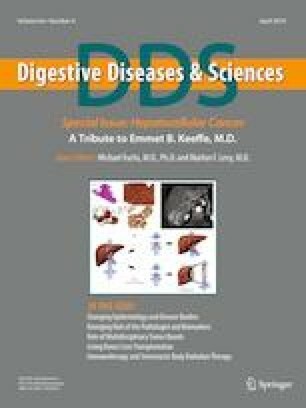 Characteristics of adult celiac disease in the USA: results of a national survey. Am J Gastroenterol. 2001;96:126–131; Myths about coeliac disease, https://www.coeliac.org.uk/coeliac-disease/myths-about-coeliac-disease/.